Ever since getting multiple piercings in each ear, I’ve been obsessed with collecting stud earrings and I love how Gae-in wears multi-colored studs on each lobe. This was fun. I’ve been really observing the styling in “Cinderella’s Sister” too. There are some interesting bits in that, but it’s not as comprehensive as it is in “Personal Taste.” That post coming soon! 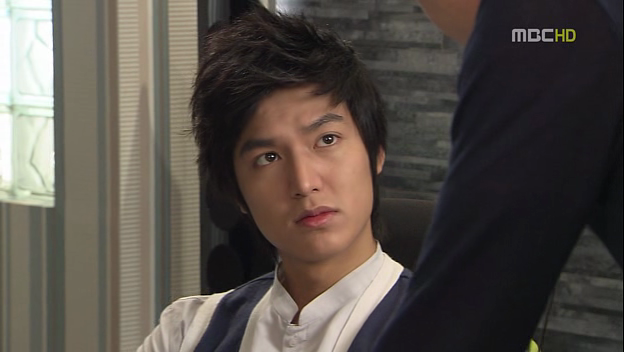 I’m not sure about the whole Mandarin collar thing on Lee Minho. But I do love him in a trench coat. UNFF. Oh wow, great post! This reminds me that I need a really good blazer and more cardigans in my life. I REALLY WISH I HAD ENOUGH TIME TO WATCH THIS! the cardigans and blazers (TOGETHER! omg.) and cropped pants and button downs are KILLING ME. I LOVE IT SO MUCH I GOT SO GIDDY WHEN I SAW THIS POST. This is a great post. Sometimes I see Korean boys (and ajussies) trying to pull off a look/style popularized by a trendy drama and you know…it just doesn’t look too cute on regular folks. I think fashion in Korea has come a long way. Although, I sometimes look at how K-pop artist are styled and I want to (1) laugh, (2) hurt their stylists, and (3) wonder what they really think about what they are wearing. Working in the fashion industry I do find myself looking at what’s going on in the Asian market more now than I ever did. Asian fashion magazines are far more inspiring than any of the publications I find here. I think you may have also mentioned that. Thanks for the fun post. 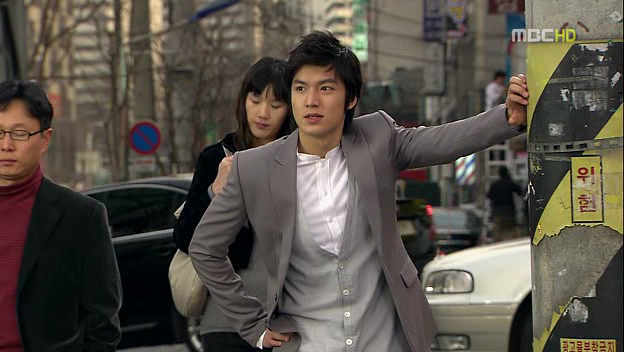 Just the other day, as I was watching PT, I was annoyed by Lee Min Ho’s long blazer and thought at least he’s not wearing fur and super tight pants that look like they were sewn on. I love the bowties, they look so adorable (wouldn’t actually wear it myself though). What I absolutely loved though are Kae in’s shoes at the wedding, you can see them on the second last picture here. Gosh they’re so high yet they look very classy. They’re simpel but they complete her outfit, I want them so bad. Oh I dont like the cropped pants trend, Lee min ho is such a tall boy, the short legs on the pants make his body look disproportionate. And it just makes me think of a kid who hasnt had the money to buy new pants for a while :p But whatever, he could wear a trashbag and look amazing. hey great job!! Could you do one on kae-in’s boots. Her shoes are really interesting! Thanks! LOVE the trench coach in that last two photos… any idea on where it’s from? Burberry maybe?! 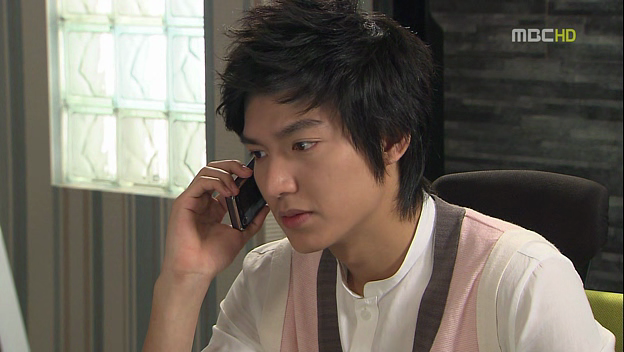 who a fashion designer Lee Minho at personal taste ? this is.. my virgin comment/reply for drama forums/blogs. damn minho just look damn sharp ! any recommendations ? Could you give images of every dress Park Kae In used??? I loved them! !….If you can do it for me…Would you send it to my e-mail: ow_mixed_me@live.com ?? THANKS SO MUCH!! PD: I love your Blog…IT’S SOO CUTE! can you please tell me where to get the stud earrings that Kae In had on..